And why stop with the family’s name. Keep your Dog Lead tidy and organised and personalised with up to four Doggy Bottoms within our Dog Lead Hook. You could name your furry friend, or just use our WALKIES or WOOF WOOF wording. You can choose between lots of different Farrow & Ball Colours, or just go for oiled natural Premium Sustainable Oak. A perfect gift for the family or your dog-loving friend. 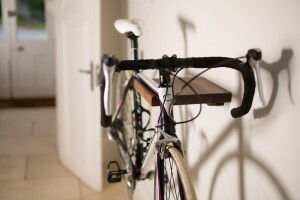 If you are anything like the team at Peck & Chisel, as soon as we get home, our keys are left on the hallway table. How about a Stash/Trinket Bowl made of sustainable Oak, or for a more up to minute version, opt for the Oiled American Walnut and Copper version. Great for keeping organised, and fun to personalise with family initials or MUM or DAD. And with Christmas not so far away, it is also the perfect gift for the personal who has everything! Or thought they did! 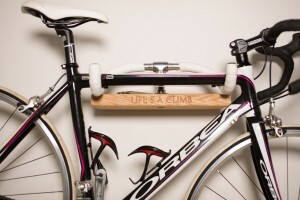 And if you have more than one bicycle in the household how about a matching bike rack from our Retro Bike Rack range and have different colour handlebar wraps and personalise each one to make them truly unique! Oh, and don’t forget the kids! We are now developing a smaller version just for kids’ bikes!